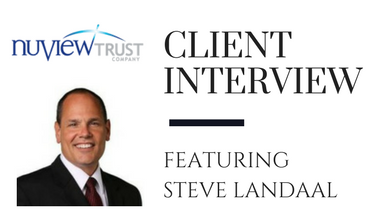 This month we’re featuring our client, Steve Landaal, VP of Portfolio Management. Steve was born and raised in Wisconsin and describes himself as a huge Packers Fan. He resides in Orlando with his bride Darla of 33 years. Steve shared with us, after losing money in the stock market and, out of desperation, he decided to seek out a better and safer way to grow his retirement savings which was when he learned about self-directed IRAs and the opportunity to find high-yield investments. Don’t have enough in your retirement account to buy that investment property you have your eye on? Your IRA can get a mortgage, but it has to be a specific type of mortgage referred to as non-recourse loans. Below, the Senior Vice President of First Western Federal Savings Bank, Roger St. Pierre, outlines important information every IRA owner should know about non-recourse loans. When banks are not lending, hard money lenders are. Hard money lenders fill a void in the financial market, especially for short-term funding for commercial homebuilders. Borrowers seek funding typically between $500 thousand-$5 million to purchase land, start development, and get their residential communities ready for market. Because the size of the loan is too large for a community bank and too small for a large institutional bank, plus the 6-18 month timeframes do not appeal to banks either, first trust deed investing may be a great fit for investors. There is an abundance of borrowers seeking capital to build new communities throughout the U.S. As an investor the borrowers pay you an interest rate to use your funds – making you the bank! Integrating alternative investments into your financial portfolio diversifies you into real collateralized trust deed assets. Trust deeds are considered an alternative investment option as they are not directly correlated to Wall Street or the stock market. Acceleration – Many hard money loans are short term, ranging from 6 to 24 months in length. This provides opportunity to try a new investment out without locking your capital into a state of illiquidity. Control – You control all aspects of the investment choosing where to invest your money, how much you earn in interest on your money, and the type of loan being offered on a project! You can choose to invest with your self-directed IRA allowing you to unlock your retirement funds and earn greater and faster returns. Transparency – Do your due diligence on anyone you partner with for investments. Some hard money lenders offering trust deeds release Loan Portfolio Performance Records showing results and supporting data needed to evaluate the business. Collateralized – First trust deeds provide a first person lien position on the actual property, meaning your name, or the name of your IRA when investing with a self-directed IRA, is on the title as a collective with the other investors. This provides you extra security to take back the property should the borrower default on their loan. You have control over how to disperse of the property and regain your value. Loan-to-Value – When investing in trust deeds ensure that the underwriting evaluates the value of the loan and asset at no more than 75% LTV. Evaluating the property at 55%-65% LTV provides immediate equity in property you are loaning your money on. There are various options in how you can invest in trust deeds however trust deed investing with a retirement account is easier than most think, this is due to the lack of awareness of self-directed IRAs. The IRS allows investors to hold alternative investments alongside typical Wall Street investments such as stocks, bonds or mutual funds in an IRA (Individual Retirement Account). In order to do this, a qualified IRA custodian, such as NuView IRA, must be identified to hold the funds on your behalf. Once an account is opened and funded, you are ready to identify new alternative investment opportunities, such as trust deed investing. When investing in trust deeds with a self-directed IRA the investments are purchased by the IRA and all revenues return to the IRA to grow your retirement account under your direct control. Ignite Funding offers first trust deeds to commercial home builders in the Southwest and provides the everyday investor with the ability to expand their investment strategy.